Adrien Broner Fine … I’ll Pay Off My $1 Million Debt!!! 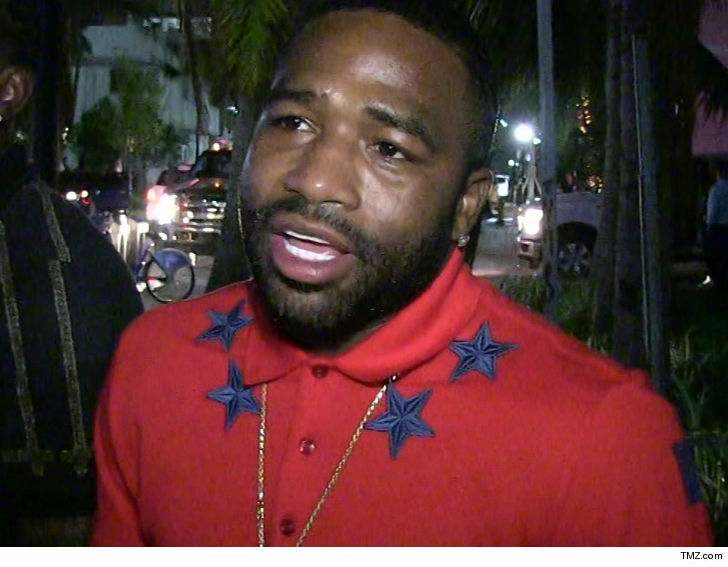 Adrien Broner is FINALLY paying off his $1 MILLION jewelry debt … agreeing to give it all back in 3 installments — TMZ Sports has learned. We broke the story … the boxing star was hit with a lawsuit last year after he allegedly stiffed a jeweler out of more than $1 MILLION in fine jewels. Pristine Jewelers NY said Broner promised to pay for multiple items which totaled $1.252 Mil … but his checks never cleared — and then he refused to follow through on a payment plan. But, according to legal docs filed this week … Broner has finally reached a settlement with the company — and has agreed to pay off his debt. Per the details of the agreement … Broner made his first payment on March 4 and will pay $500,000 by Dec. 31, 2019, and then the final $500,000 no later than 6 months after that. It’s interesting … according to docs — Broner struck the agreement with the jeweler on Feb. 15 — just a couple weeks after he reportedly earned a $2.5 MILLION check from scrapping with Manny Pacquiao. Unclear who Adrien will fight next … but if he’s looking to cash in on an exhibition match — we know there’s a boxing analyst out there that’d be a PERFECT fit.